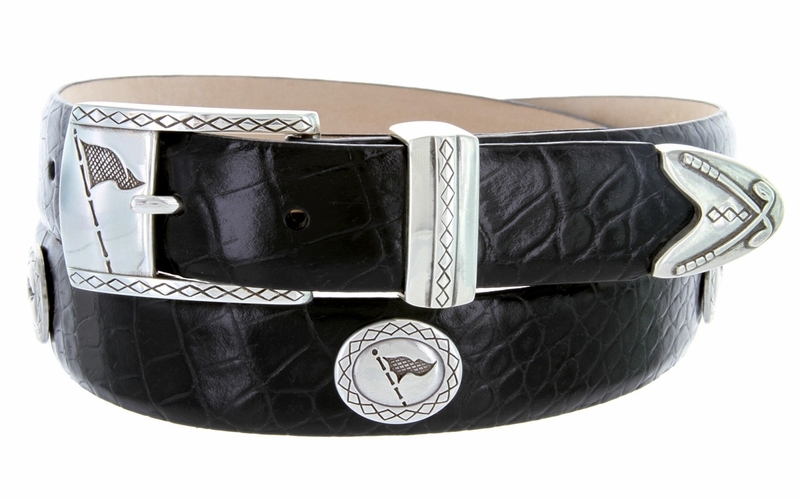 Shown in Alligator Grain Italian calfskin. Sterling Silver finish Three Piece Buckle Set and 5 Golf Themed Medallions.Golf flag accented Buckle etched loop and Crossed golf clubs of the tip. Looks great in the office or on the golfcourse. Hand polished Silver tone buckle set. Lined with soft Genuine Leather.